Extraction (removal) indicated - Draw two parallel vertical lines through all aspects of the tooth and roots involved. This applies also to unerupted teeth when removal is necessary. 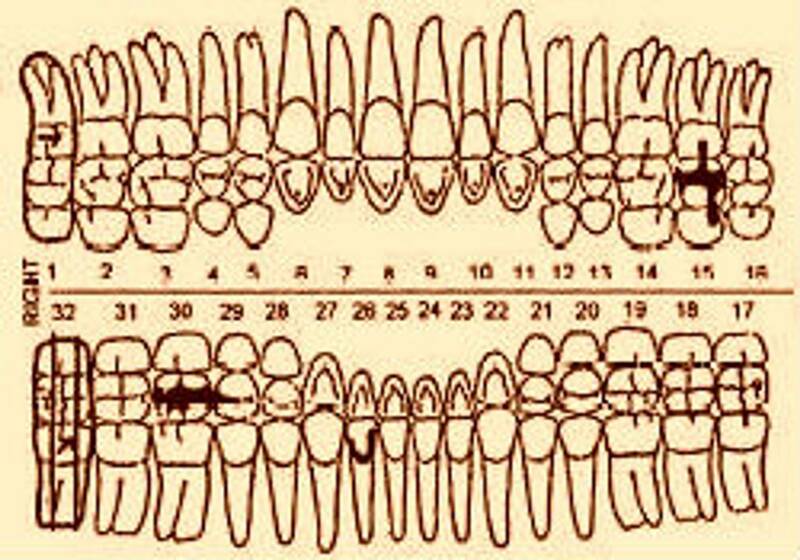 For teeth extracted or not formed, put large cross (X) over the appropriate tooth square. * Differently, for teeth missing postmortem (open socket), encircle the tooth number over/under the corresponding tooth square.